A tribute piece is often the hardest kind of story to write. How is it possible to, in limited space, recount the life of someone who left a mark so significant that it qualifies as legendary? How do you capture all the failures and all the successes? How do you include the controversies and raised eyebrows, with the moments of complete clarity? What about the strategy, the knowledge, the wisdom? There are a million moments that make up those memories. A million stories that explain the legacy left. And yet, when it’s over, we’re burdened – and privileged – with the task of recalling each one, succinctly and eloquently. 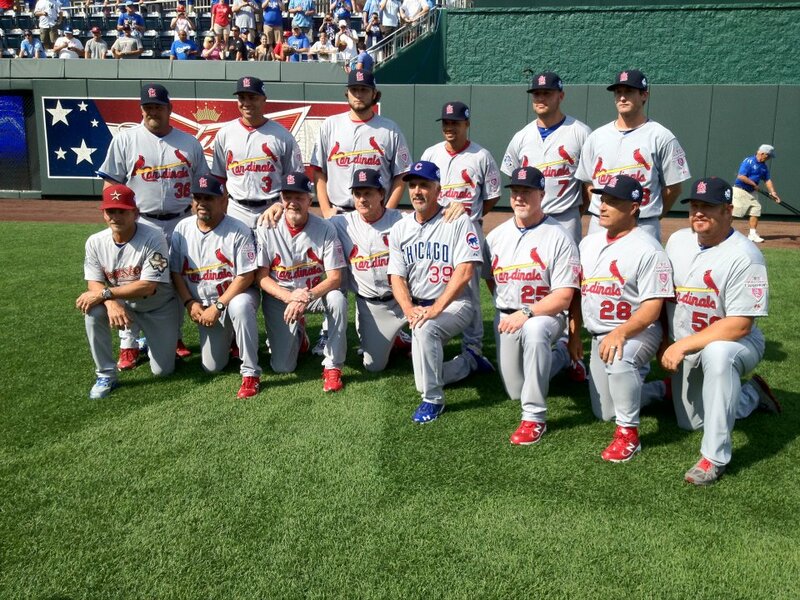 For Tony La Russa, there was perhaps no better tribute – no better final farewell – than his night as the manager of the 2012 National League All-Star team. From start to finish, it was classic Tony La Russa. The gang was together for one last hoorah — an 8-0 NL winner! First, the controversy. We’ve all heard it by now: failing to select Brandon Phillips and Johnny Cueto was an attempt at making the final move in the “Cincinnati Reds and Dusty Baker vs. St. Louis Cardinals and Tony La Russa” grudge match. Clearly. Then there was the decision to start Matt Cain over R.A. Dickey. Not uncommonly, we heard echoes of “What is he thinking? !” throughout the baseball world. But then there was Tony, calmly standing his ground. Last night, he rallied a team that was undoubtedly the on-paper underdog and watched as they faced Mr. MVP himself, Justin Verlander. And, as so often happens on a TLR-led squad, things started to happen. Good things. Unheard of things. Things that led to a five-run first inning against arguably the best pitcher in baseball. Tony La Russa things. Matt Cain pitched two scoreless innings. Pablo Sandoval broke the game open with a three-run triple in the first. “Cain, Sandoval make La Russa look like a genius,” the headlines read this morning. There’s always something special about how Tony plays his guys. And by special, yes, I do mean mind-boggling. It’s the thing that made plenty of Cardinal fans shake their heads in disgust on a semi-regular basis. He’s playing this guy where? Who is pitching to Prince Fielder? You’re taking your hottest hitter out now? You’re making another pitching change? Seriously? Last night, for example, David Freese made his way into the game as a first baseman. Classic La Russa. And, even with an eight-run lead, he pitched a different guy for each of the last four outs. Now, it’s no secret there have been people over the years who just couldn’t deal with Tony … often because he just wouldn’t deal with them! Even guys like Ozzie Smith, or Scott Rolen. Or, say, Colby Rasmus. But you’d be hard-pressed to find anyone who doubted La Russa’s respect for the game, and his protectiveness over his players. Last night, he took great care in giving nearly everyone on the NL squad his moment to shine – right down to the other managers on his staff, sending a different one out for each of the last few pitching changes. Of course, La Russa watched like a proud papa from the dugout as his former team’s All-Stars played their parts (quite well, I might add!) in the 8-0 National League win. Carlos Beltran (who, of course, did not play for La Russa) played a part in the big first inning by drawing a walk – one of two handed out by Verlander – and scoring on Sandoval’s triple. Rafael Furcal made an impressive attempt to throw out Derek Jeter in the second when Sandoval missed the grounder off the end of his glove. Furcal was covering, and threw a bullet to first, ever-so-slightly behind the quick-footed Jeter. And that wasn’t the last of his defensive efforts. He started double plays in both the fourth and sixth innings to help keep the American League scoreless. On the flip side, he did his part offensively, hitting a triple to right field and scoring on the next play – an RBI single by teammate Matt Holliday. Holliday scored too, on Melky Cabrera’s homer that made the score 8-0. World Series MVP David Freese was not able to send a fastball into the fountains, but he did play a perfect first base! Leave it to Tony to play his MVP out of position, eh? I suppose when you look at the story of Tony La Russa, many of his greatest moments are the ones that seem most unlikely. Last season’s ride to a World Series title is certainly the most recent, but it’s just one such moment. The 2006 title was another. Leading the team after the loss of Darryl Kile yet another. And, on a lighter note, the now-infamous call to the bullpen that brought one Lance Lynn in to intentionally walk a batter in the World Series is another still. And now, he adds a National League All-Star Game win, complete with strong showings from the Cardinals crew, both past and present. At the end of the road, Tony La Russa once again stood on top, having done it all his way. Good, bad or ugly, he did things every step of the way in classic, Tony fashion, leading his final team of All-Stars to a dominating victory. Eleven pitching changes and all. That is Tony La Russa. That, my friends, is a winner. It was comforting to see Tony in the dugout again, and especially great to see Dave Duncan there too. Once more for old time’s sake … And going out a winner twice, last October and now, is pretty special.